2017 US Youth Soccer Region I Championships kick off in Spotsylvania, Va.
SPOTSYLVANIA, Va. (June 30, 2017) – The first day of round robin play kicked off at the 2017 US Youth Soccer Region I Championships today at the Publix Virginia Soccer Training Center and Embrey Mills Complex in Spotsylvania, Va. The Region I Championships feature top Region I teams in the 12U through 19/20U age groups. Round robin games take place today through Sunday, July 2, with semifinal matches Monday, July 3. 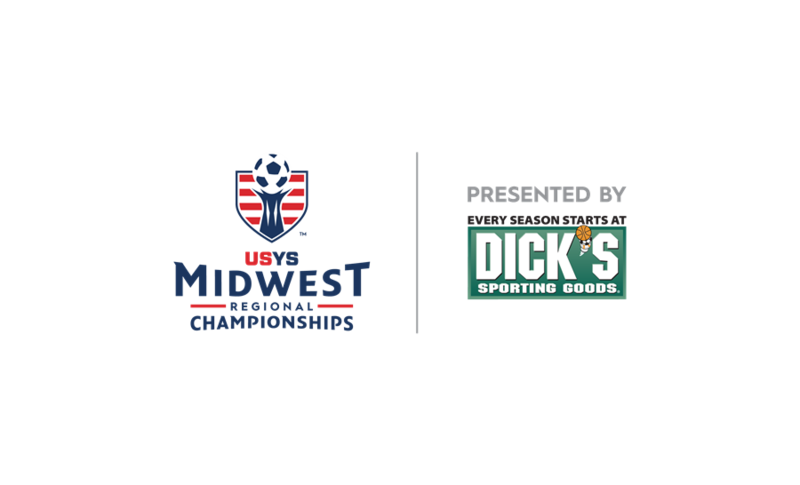 The regional champions will be crowned following final games on Tuesday, July 4. US Youth Soccer State Champions and select wildcards in the 12U through 19/20U Boys and Girls age groups from 15 state associations, including host Virginia Youth Soccer Association, are participating in the event. LMSC Invictus (PA-E) made the most of its 13U Boys game against Delaware FC 04 (DE) with a 2-0 victory. Steven Fajardo scored the game’s opening goal in the 20th minute to give the Eastern Pennsylvania side the lead. Midway through the second half, teammate Sam Nyenku added the game’s final goal. LMSC held on defensively to grab the win and the momentum going into the second day of play. 14U Boys side Bethesda SC Blue 03 (MD) started off its tournament strong with a, 5-1, win over Shoreline FC Porto (CT). Despite going down early in the 7th minute on a Nicolas Bisgaier goal, Bethesda battled back to claim the lead by halftime. Bethesda’s Cavan Fernandes was slipped in for 1v1 chances in both the 10th and 32nd minutes and made no mistakes finishing them both. 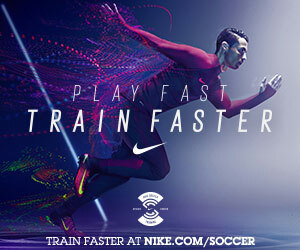 Seni Joseph added Bethesda’s third goal early in the second half and Fernandes finished his hat-trick in the 63rd minute. Bethesda kept on the pressure and scored one more before the final whistle on a left-footed shot by Conrad Gwadz from outside the box. 15U Boys side Syracuse Development Academy (NY-W) got its title defense started off on the right foot with a, 2-0, victory over Northeast United (CT). Syracuse pressed high and fast early in the game and retained most of the possession with United looking to break on counters. SDA broke the deadlock in the 36th minute when Simon Hoke got on the end of a corner kick and finished his chance near post. Syracuse added a late cushion in the 73rd minute on a Jacob Sherline goal and held on for the 2-0 victory. 19/20U Boys Penn Fusion 98 (PA-E) already booked its ticket to nationals via the US Youth Soccer National League, but had its hands full with Empire United Soccer Academy (NY-W) in its opening game at the 2017 Region I Championships. Penn Fusion looked confident early, scoring in just the 5th minute of play on a Beckham Sibiski goal. Empire United tied the game early in the second half as Alexander Cancilla found the back of the net and just seven minutes later, Empire United took a 2-1 lead on an Aidan Callahan goal. Penn Fusion found relief in the dying embers of the game as Samuel Brown scored in the 90th minute to bring the two sides level at 2-2. Defending Regional Champions BRYC Elite Academy 01/02 (VA) dropped a close game, 1-2, to a talented FC Frederick 02 team (MD). Both teams showcased their scoring talent just moments after the opening whistle with FC Frederick scoring first in the 3rd minute. Sara Hohn's goal gave FC Frederick the lead for less than a minute as BRYC's Mary Colvin equalized just shortly after the ensuing kickoff. The game went back and forth with both teams looking for chances but it was FC Frederick's Hohn who scored her second of the game, just nine minutes away from the final whistle, to seal the win for the Maryland side. 17U HBC Impact (NY-E) faced off against DE Rush 00 (DE) in its first match of the 2017 Region I Championships. HBC was the aggressor most of the game and notched two goals in the first half by Talani Barnett and Lindsay Wright. HBC had many opportunities to increase the lead but couldn’t connect. The score remained 2-0 through the final whistle and HBC gains an important three points towards its goal of a third consecutive Region I Championships title. Defending 2016 Regional Champions Syracuse Development Academy started their title defense hot when Alexandra Catanzarite scored in just the 6th minute of play. SPF United (NJ) took the brunt of the SDA attack in the first half but managed to keep SDA from finding anymore real chances from close range. In the second half, SDA kept on the pressure while stopping any United counterattacks and scored its second goal in the 79th minute on an Elizabeth Glynn goal. SDA held on for the win and gain a valuable three points on day one of 18U Girls group play. 19U Girls WVFC 98 Black (WV) scored a flurry of goals late to beat Northeast Elite (CT) 3-0. Sydney Cavender scored in the 80th minute with teammate Mary Lawman notching a brace. Lawman's 86th and 88th minute goals finished off West Virginia's scoring frenzy to bring the final score to 3-0. 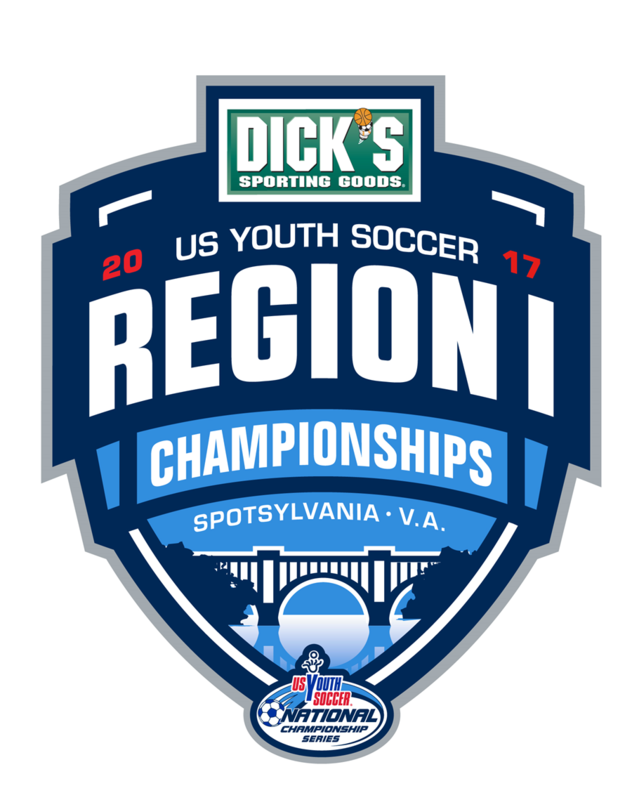 Regional winners of the 13U through 19/20U age groups earn a berth to the 2017 US Youth Soccer National Championships to be held July 24-30, at Toyota Soccer Center in Frisco, Texas. Daily reports and complete results from the tournament are available on http://championships.usyouthsoccer.org. Follow the moments from the US Youth Soccer National Championship Series on Twitter and share the moments with us on Facebook and Instagram with the hashtag #ROADtoTX.